Modest Heroes: Ponoc Short Films Theatre features three short films independently directed by Yoshiyuki Momose, Akihiko Yamashita, and Hiromasa Yonebayashi. 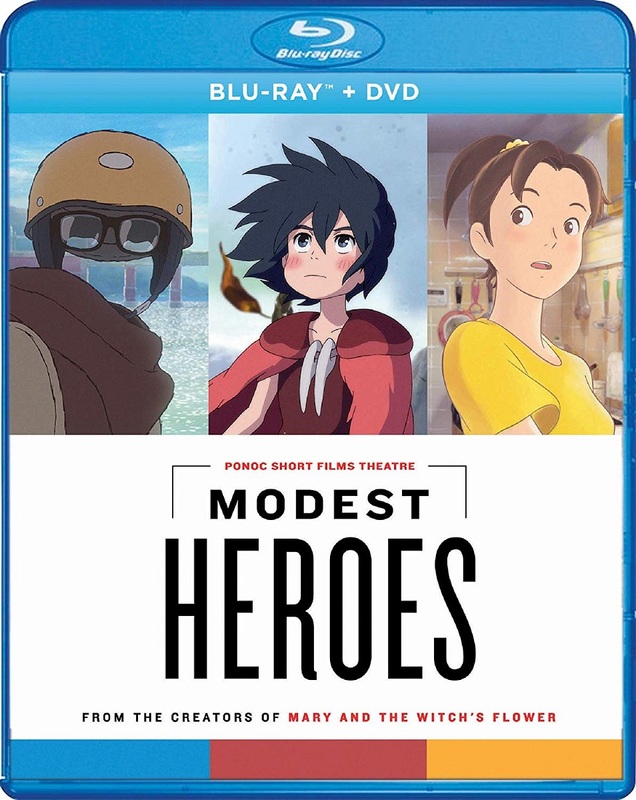 Modest Heroes is an ambitious anthology of three thrilling tales created by some of the greatest talents working in Japanese animation today. Together, the stories (Kanini & Kanino, Life Ain’t Gonna Lose, Invisible) explore ideas of heroism in everyday life, and the infinite potential of the short film format which allows the directors and Studio Ponoc to experiment with breathtaking, action-packed visuals, concise human drama, and gorgeous fantasy worlds in this unforgettable showcase that is a further demonstration of the studio’s exciting future. Special Features: "Behind the Scenes" featurette.